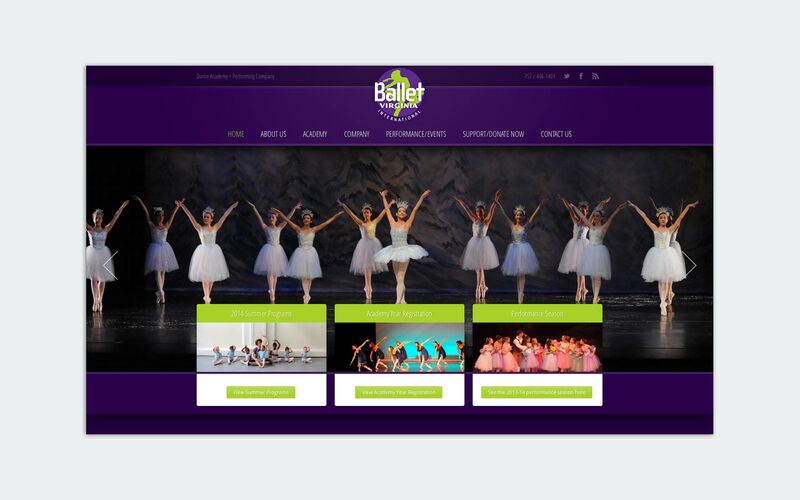 Ballet Virginia, a regional dance academy and performance company based in Norfolk, asked for help with a website revamp. Their old site made editing and keeping the content fresh very difficult. It also wasn’t optimized for mobile and tablets. For the new site, we used WordPress for the content management system so they could keep the content fresh without assistance from an outside source. The design is simple with a strong color scheme that reinforces their visual identity. It is also optimized for mobile and tablets, which now accounts for over 40% of its visitors.